It’s been 11 years since we’ve gotten an full album from the El Paso band. 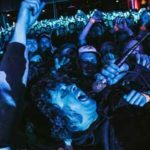 And it looks like album #4 might be on the way. Sparta released a new track called “Graveyard Luck.” It’s their first new music since 2012’s single “Chemical Feel” — which was the only song released since 2006’s record Threes. Now 2012 was an interesting year. 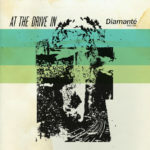 It was the year At The Drive-In did their first string of reunion dates and performed at Coachella. And supposedly Sparta had already begun working on a new album. But for whatever reason nothing came of it. Fast forward to today: Sparta has returned with a revamped lineup. 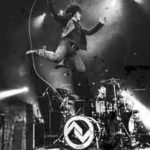 The current roster features Ward — who parted ways with At The Drive-In days before their 2016 reunion kicked off — with returning bassist Matt Miller and guitarist Gabriel Gonzalez, along with new drummer Cully Symington. The new Sparta lineup will be taking the stage at Tricky Falls in El Paso, TX on December 16th. It’ll be their first show since 2012. We presume more performances will be happening in 2018.